I had a coffee break at St. Marc Cafe Choco Cro. 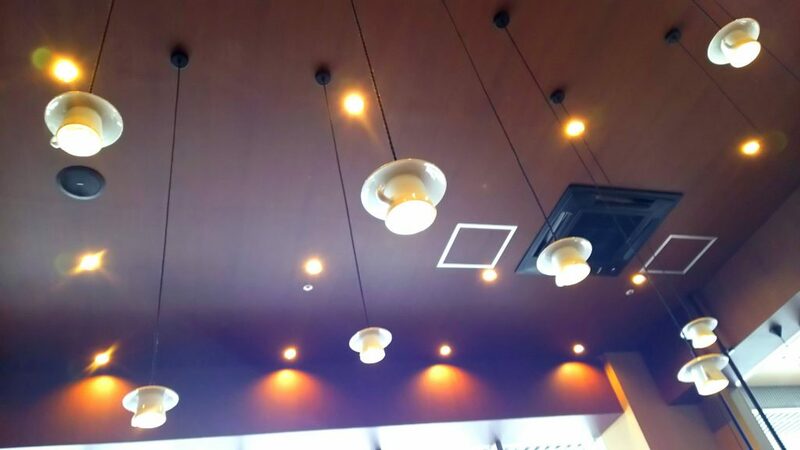 When I looked up at the ceiling, I noticed something funny—coffee cups! They hung from the ceiling, upside down.